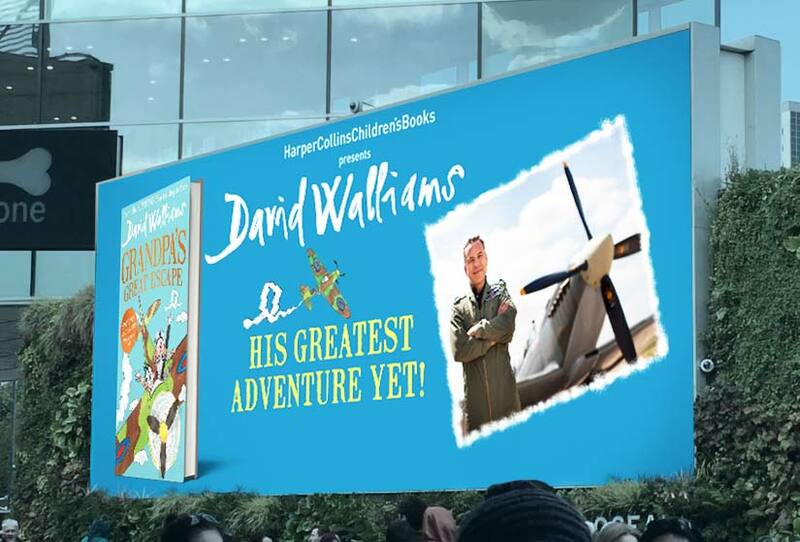 We helped shape David Walliams’ ’Greatest Adventure Yet’ for HarperCollinsChildren’sBooks. Based on core creative, we produced a huge range of marketing assets for the Grandpa’s Great Escape campaign including animated outdoor digital screens, mobile ads, press ads, HPTOs, social media assets, FSDUs, standees, window acetates and more. Up, up and away!